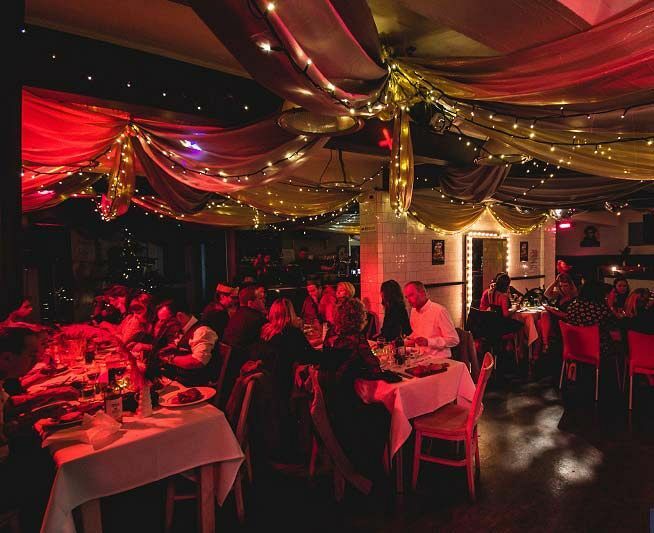 Nestled away on Brighton’s iconic seafront lies all the mystery and intrigue of this spectacular 1920’s Christmas prohibition party, where you and your team will be transported back in time for an evening of true decadence! The venue will be transformed into a stunning speakeasy where you’ll revel in all the forbidden delights that the night has to offer! From the moment guests arrive to this shared party night, they’ll be provided with a delicious chilled glass of Prosecco to start the night off in style. A singer will also be performing on arrival to the set the mood with festive jazzed up classics! Get ready to indulge your senses in a fabulous festive feast during the evening with either a mouth-watering three-course meal or the sumptuous buffet, which features a whole host of delectable choices that everyone will love! As for drinks, enjoy the choice of a half-bottle of red or white wine with dinner. Alternatively, you may prefer to opt for two drink tokens which guests can redeem at the bar – your options include a choice of beer, cider, wine, spirit and mixer or soft drinks. The buffet package costs just £29.13 per person excluding VAT, whilst the three course dining option is priced at just £37.46 per person excluding VAT. 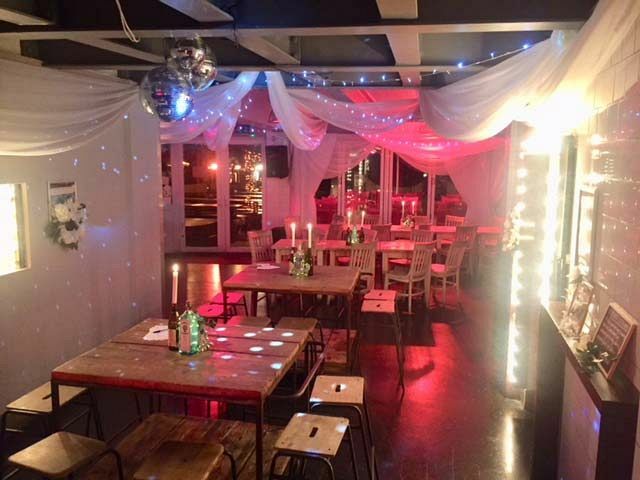 The venue are also offering a two course lunch options with Prosecco on arrival for £14.68 per person excluding VAT, if you'd prefer to celebrate the festive season during the day. Book your places at this incredible 1920’s Christmas Prohibition and ensure availability for your Christmas party!